Jalapeno stuffed bacon wrapped hot dogs! Having a cook out? Here is some heat for your hot dog! 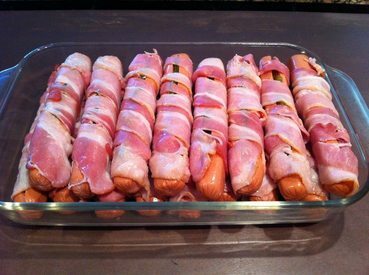 No recipe, simply cut your hot dog, stuff it with jalapenos to your taste, and wrap that baby with your favorite Bacon, as much as you want! Grill to your liking, and Enjoy!